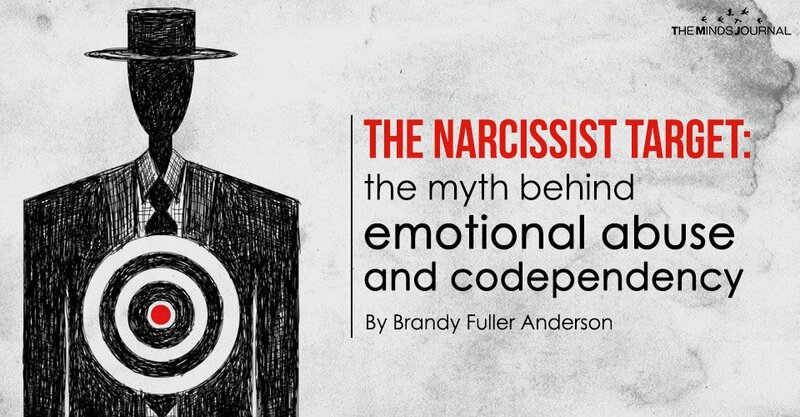 Narcissists and Codependents go hand-in-hand, right? It’s written on multiple blogs, social media platforms, and even in self-help books. But would more narcissistic abuse survivors be insulted by these statements if they were hearing them before the abuse disquieted their sense of self? The term codependency represents a dysfunctional relationship paradigm in which one partner helps to enable the negative behaviors of the other, usually supporting their continued addictions, immaturity or other self-destructive behaviors. What it insinuates is that the enabling partner is a willing participant, lacks a healthy sense of identity, an absence of confidence in their ability to thrive on their own, and a need to be needed at all costs. It has been rumored to be linked to a childhood trauma or unhealthy parental relationship, low self-esteem, and even a malfunctioning of their very core being. However, with narcissistic relationships, codependency much less describes the individual characteristic of the targeted victim, and is more so descriptive of the phenomenon created at some point in the courtship, in which the framework shifts to one in which one partner is displaying poor decision making and acting out, and the other partner is enabling such behavior. But would this term still be accurate if the enabling partner was unaware of the paradigm shift? Victims of narcissistic abuse may be emotionally dependent, may have experienced a childhood trauma that disabled their flight response, they may have zero sense of their own self-worth…or they could be none of those things. The one thing they will all have in common, is that they were duped by a charming individual who was skilled at transferring their maladaptive thought processes onto them. Narcissistic abuse is subtle and yet speedy, hideous and yet hidden. Victims do not have the opportunity to examine the abusive nature of their relationship in the beginning, because they will not become aware of their partner’s façade until well into the false reality carefully crafted by the narcissist from day one. The victim will likely be committed, emotionally and financially invested, and oblivious to how much malevolence is actually occurring behind their back before they even suspect something is off with their new beau. For anyone who has not experienced this type of abusive interaction, there is no way to describe the momentum, destruction and disbelief that this type of abuse brings upon victims before they even know what hit them. These unsuspecting partners can spend days, weeks, months, even years trying to figure out if they are even being abused. Wondering if they are losing their minds. Questioning their own perceptions and feelings. In the awakening, they will sense something is not quite right, but they are thinking, “What’s wrong with me?”, and not “I don’t like how my partner is treating me. As they wait for the fog to clear, desperately seeking answers and emotional clarity, they are enabling the narcissist’s addiction to attention and freedom of impulsiveness, but it is merely a byproduct of the circumstance they aren’t even fully aware of yet. The target is still trying to catch their breath and figure out what has gone wrong. In a customary sequence of events, they will search for answers where there are no clear answers, because the situation they found themselves in was carefully and callously manufactured to impart such confusion and self-doubt.